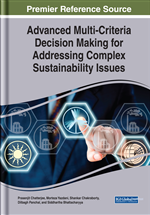 The aim of this chapter is to develop a hybrid decision-making framework for studying the risk issues related to failure of an industrial system. On the basis of plant expert's knowledge, failure mode effect analysis (FMEA) sheet has been generated and various failure causes associated with the sub-systems were listed. On the basis of three risk factors, namely probability of occurrence of failure, severity and non-detection (, and ), Risk Priority Numbers (RPN) for each failure cause has been tabulated. The demerits of FMEA approach in prioritizing the failure causes has been overcome by implementing fuzzy rule-based tool. The consistency and heftiness of the ranking results have been tested by implementing grey relation analysis (GRA) approach. Comparison of ranking results has been done for effective decision making of ranking results. The accuracy of decision results would be highly useful in developing a planned maintenance policy for the plant. The proposed framework has been tested with its application on a cooling tower system of a thermal power plant located in the northern part of India. Repairable systems due to their complexity in operation are difficult to keep in upstate condition. Unavailability of a plant system is a big threat for the operational sustainability of the particular industry. Even a minor failure in the system’s operation may result in plant breakdown due to which there is increase in the production loss (Sharma and Sharma, 2012; Panchal et al., 2018). Production loss for an industry directly affects its sustainability and it become difficult to sustain itself in the market. According to a survey in Europe, for a group of heavy process industries the maintenance cost varies from 15-40% of the total production cost which is a great challenge for their sustainability (Wang et al., 2007; Panchal & Kumar 2016; Panchal et al., 2018; Panchal et al., 2017). Thus to lower down the production cost it is essential to deal with the risk associated with operational behavior of various component of the system. Further, minimization of failure risk by minimizing or eliminating the various failure causes associated with various equipment/components of the system is of supreme importance for improving the operational sustainability of the plant. Hence, for improving the availability by minimizing the risk of sudden failure of the system the study of risk issues is presented in the present work.